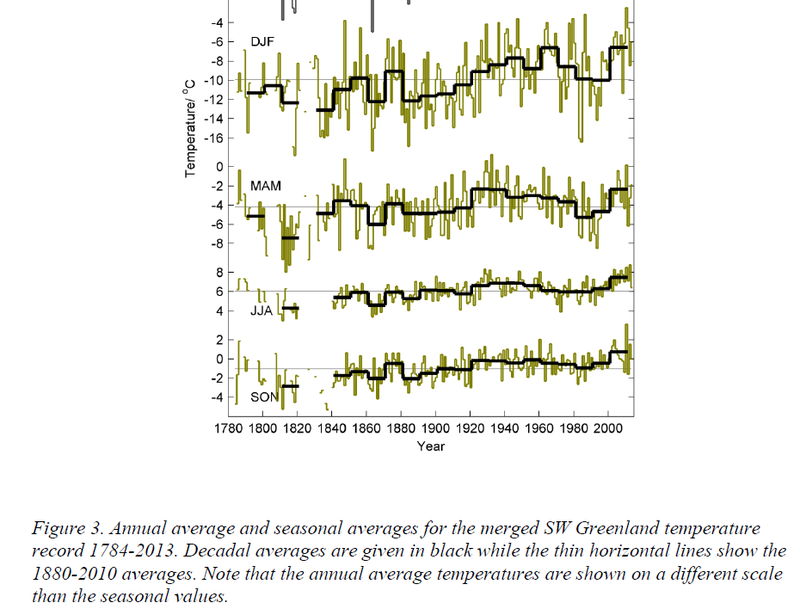 UK Guardian newspaper in panic because Greenland is nearly as warm as 80 years ago! Spring is arriving ever earlier in the northern hemisphere. One sedge species in Greenland is springing to growth 26 days earlier than it did a decade ago. 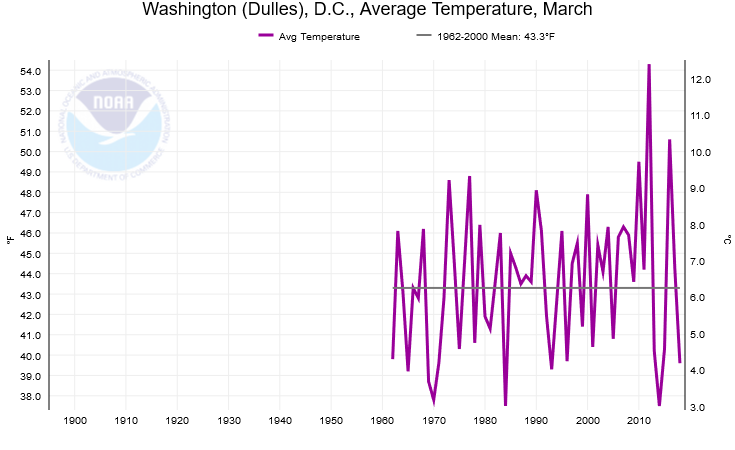 And in the US, spring arrived 22 days early this year in Washington DC. The most dramatic changes are observed in the high Arctic, the fastest-warming place on the planet, according to a study in Biology Letters. As the polar sea ice retreats, the growing season gets ever longer and arrives earlier. Which is about par for the course for the lot of them! The Guardian was also worried about the early spring in Washington DC.